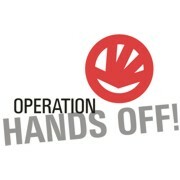 The Operation Hands Off™ theft prevention program is designed to deter theft before it occurs and ensure what’s yours, stays yours! 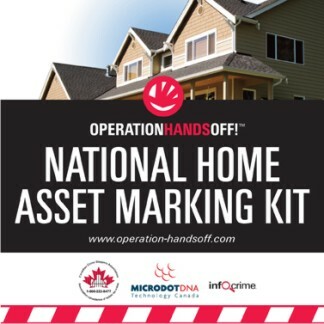 The program provides a complete system to mark your property and register high value assets by serial numbers for added protection. The system is a proven theft deterrent that cannot be disarmed, disabled or bypassed. Property Identified by this program becomes highly traceable by law enforcement and too hot to handle for thieves. Don't be a victim of B & E (break and enter) theft! Program members also receive a discount on additional warning decals and signage. This program includes the first year program membership. A membership renewal fee of $24.95 will be charged each year to maintain the registry database. The program can be upgraded at any time to expand database space or add additional marking and warning materials. Important Note: All programs offered through the website are designed for the average user. Large organizations or unique situations may require customized programs. Please contact one of our loss prevention specialists to design a program specific to your needs.